Welcome to this week's edition of My Week In Words! It was another pretty busy week for me. 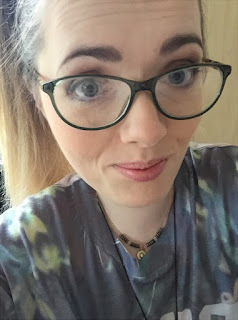 I'm not completely back on track with posting yet, which you can probably tell by the fact I'm posting My Week In Words a day late but I guess I'd rather have a busy week and not post on time than have nothing to write about but post on time! 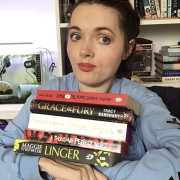 Anyway, this post covers from Sunday 12th to Saturday 18th of July. Enjoy! I woke up to my Sunday fry up as usual. What wasn't usual was that it was the 12th of July and we weren't rushing to get dressed so we could make it into town to see the parades before heading off to wherever the big parade was being held. No. This 12th we could relax. After breakfast I chilled and worked on My Week In Words and got it posted up. You can check it out here if you missed it. Around 4pm Eva came home from work and my dad started to barbecue some burgers for us. We had plans to go to my aunt Karen's house for a movie night but Dad invited her for a burger before we went round. We ate outside as it was relatively nice weather and then I had a shower before we headed round. I finally got to watch Big Hero 6. I was looking forward to it as I'd heard really great things. As expected Baymax was adorable! And I cannot wait to get a plushie or two of him! However, the storyline wasn't really what I expected. I mean, I don't know what I thought it would be but I didn't expect a hero movie. Which, looking back, was stupid considering the word 'hero' is right in the name... Oh well. I loved the movie. But by the end of it I felt a bit crappy. We hung out and had a cuppa before we headed home. I had a monster of a headache by the time we got home so I wasn't fit for doing much. Eva helped me sort out the pets so I could go straight to bed. I didn't sleep well on Sunday night and the headache hadn't shifted by Monday morning. I was feeling down right rough, to be honest. 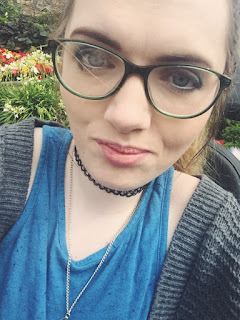 As you may remember reading earlier in the week if you frequent my blog, we celebrated the Twelfth on Monday despite the fact it was the 13th. I wrote about the Twelfth and what I got up to in another post. If you missed it you can read it here. In this post, I'll carry on with what I got up to after we finished our Twelfth related festivities. We headed to Bloomfield to do some shopping as I had to pick up some cat food. Naturally that meant we also had to pop into Smyth's too. They'd had a shipment of new blind bags, so Eva and I kind of went a teeny bit overboard. 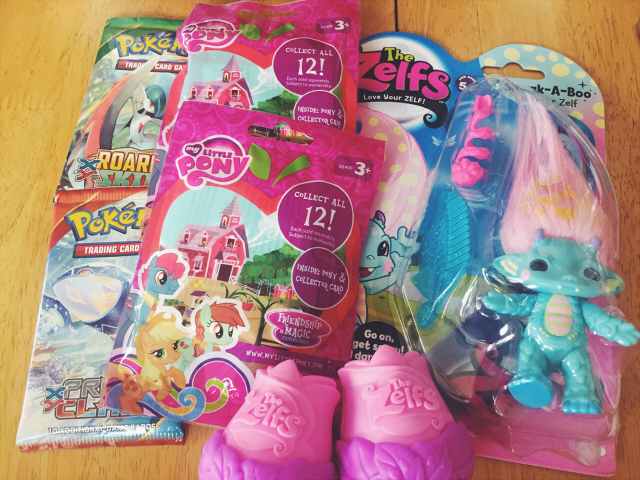 I mean, how could I resist the new line of Zelfs and an abundance of My Little Ponies? The answer is, I couldn't! So I didn't! I also bought myself two boosters of Pokémon cards while I was at it. On our way home from shopping we stopped off at the McDonald's drive through. After munching our way through it when we got home Eva and I set about opening our toys. I swear it's like being a gambler or addict. I get such a high when I have toys to open. Especially the blind bags or booster packets of Pokémon cards as there's the added excitement of not knowing what you're going to get. Is it going to be something you already have? Something you don't have or something that you REALLY want? But I digress. Here's the toys I got on Monday. I'm in love with the medium Zelf I got. I'd have had a hard time choosing if it wasn't for the fact this one jumped out at me so much. Some really interesting ones in this series. After the excitement of the toys we sorted our pets. 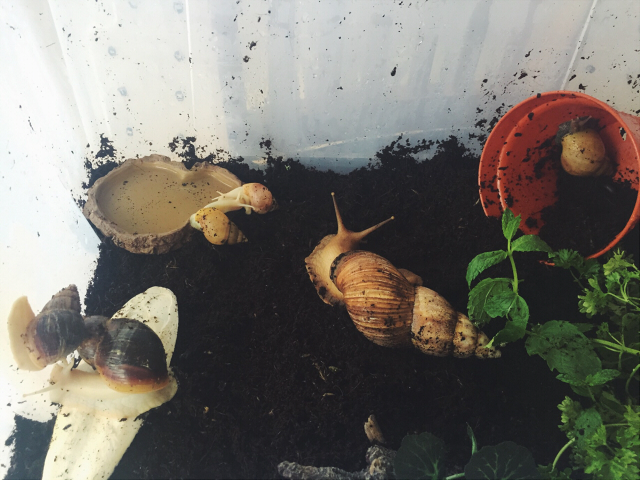 My tank had Eva's snails come stay for a while while Eva carried out an egg check. I think Gus and Agron and Violet and Pearl missed each other. Gary and Duro just chilled on their own as they didn't have any long lost clutch mates to catch up with. After I sorted my pets and Eva had taken theirs back to their tank I headed to bed. I woke up late on Tuesday. Like hella late. I felt really rough, probably from having such a busy day before. I had planned to write a post on Tuesday but there was no danger of it happening when I felt so crappy. I ended up procrastinating all day and watching Heartland. It's Canadian family drama about a family that live on a ranch. I've been watching it on and off for years, never quite fully catching up. It always makes me wish I was a cowgirl! I pretty much watched it all day before I headed to bed. On Wednesday I woke up to Eva telling me her OyatsuBox had arrived. It's a Japanese treat subscription box. Although it belonged to Eva, I was looking forward to getting to try some! It was the first one she'd gotten. Everything was yummy and interesting. A little more so than some of the US sweets I've tried. I may get my own subscription at some stage. While we ate we watched Pokémon. What better to watch when eating Japanese sweeties? A Japanese cartoon! Later on I watched some more Heartland until I switched to watching the evening finals of the IPC Swimming World Championships. I love watching competitive swimming and the Paralympic aspect only makes it even more fun to watch! While I watched I had a split screen and wrote my Twelfth post alongside it. Multitasking at it's finest. I watched some television with my dad and Eva in the evening and sorted out my pets before bed. I watched Criminal Minds with Eva while we ate breakfast on Thursday. I'd noticed a day or two before that the side of Effy's face was swollen. 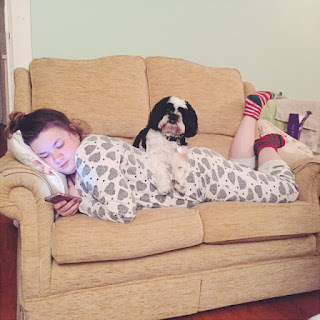 I didn't take her to the vet straight away as when we'd taken Berty when his face was swollen the vet had said it might have just been an allergic reaction or possibly a sting and it happens a lot this time of year. She said you only really need to worry when they show signs of it having an effect on her breathing. Effy seemed fine in all aspects other than the swelling on the side of her face/head. So I was pretty sure it wasn't a head trauma. However, by Thursday it looked worse so we decided to take her to the vet. Eva and I had planned to walk to Bloomfield but we'd hoped to take Effy to the vet before. However, when I called they told me they were fully booked but when I explained what the problem was they said they could squeeze us in around 5pm. We decided to head to Bloomfield anyway and Dad would pick us up in time to collect Effy and take her to the vet. It was a 45 minute walk before we got to Bloomfield and that only gave us around half an hour to shop. So we hit Smyths and then Pets At Home. We had to get hamster substrate and I picked up a big reptile bath that was on clearance. It was only reduced £1.50 but I had planned to get it eventually so I thought I might as well. 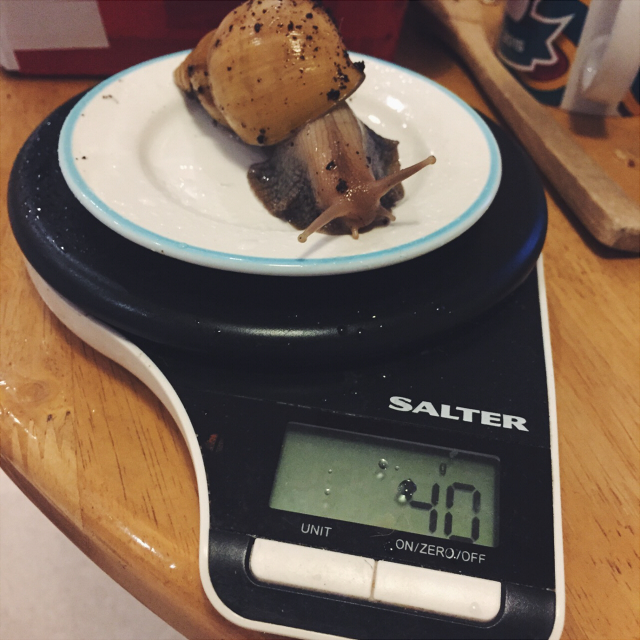 Eva has one in her tank and it's just perfect for the size of the adult snails. I'm going to keep it until my babies are bigger. But I digress, Dad picked us up and we stopped off at home to pick Effy up and then took her to the vet. We didn't have to wait long to be seen. The vet concluded that Effy had been bitten by another cat, which resulted in an abscess. She said that sometimes they get a head and pop themselves but there was no sign of that happening with Effy's. So she decided that Effy would stay over night at the vet's and have a procedure to lance and drain the abscess in the morning under light sedation. I felt awful leaving my princess behind. I hated the idea that she was scared and confused as to why I'd just left her. She's a very skittish cat and she's afraid of strangers. She's not like Findlay. He loves the attention at the vet's. When we got home Eva and I had our spoils from Smyth's to open to cheer us up. 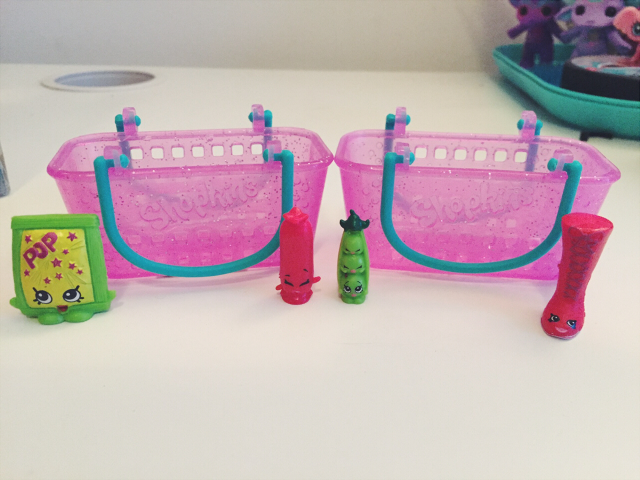 They'd had a new shipment of the latest series of Shopkins, so we were pretty excited. 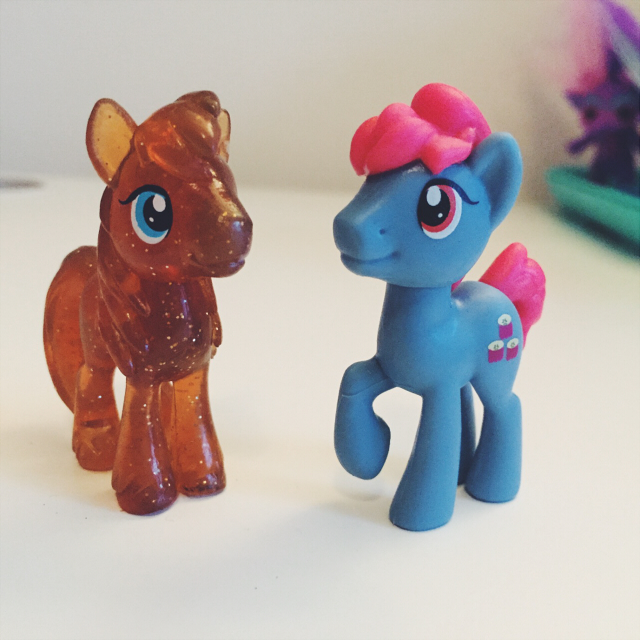 Nowhere had had Shopkins in ages! Later in the evening I worked on a blog post for Friday while I watched the swimming live stream. They even read one of my tweets out on the stream at one point! I couldn't believe it. 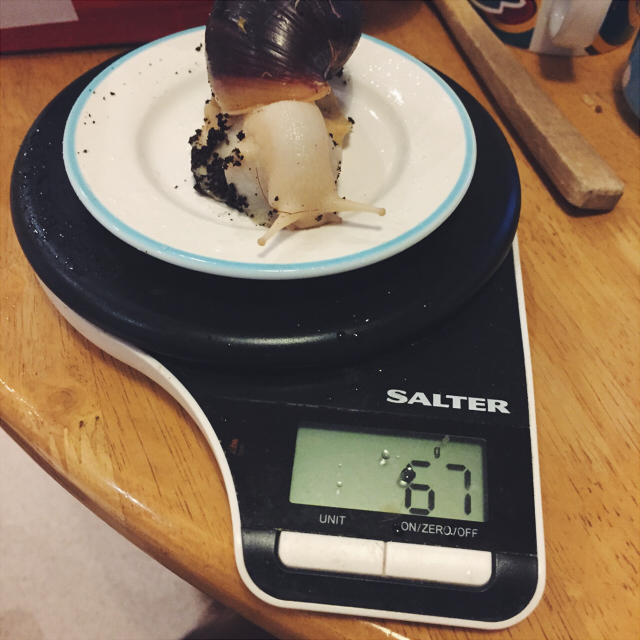 It had been a month since I had weighed the snails so it was time for a weigh in. I think weighing gives a better indication of their growth than measuring as it's a little difficult to accurately measure them. At least with a straight ruler. 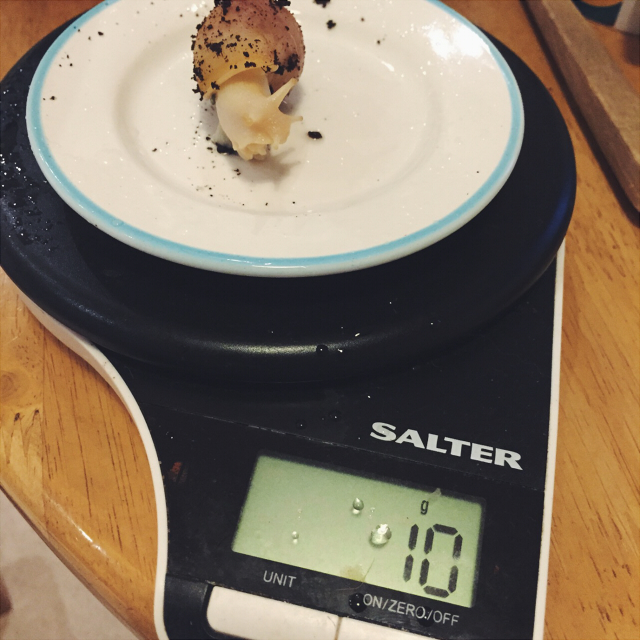 I hadn't weighed Agron before so I have nothing to compare his weight to this time but Duro had put on 13g and Violet had doubled in weight, going from 5g to 10g. I can't wait to weigh them next month and see how they've grown! After I sorted out the pets I headed to bed. It had been a busy day. On Friday I woke up to my mum bringing my a blind bag in bed! 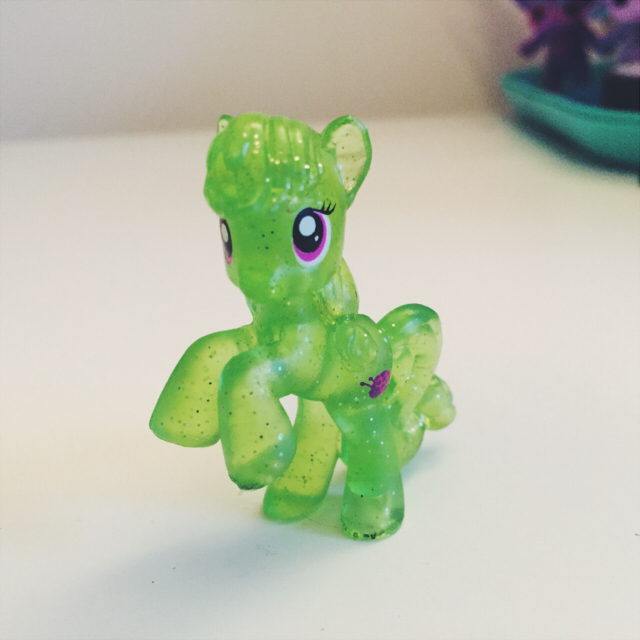 She'd been out before I even got up and had surprised Eva and I with a My Little Pony blind bag each. 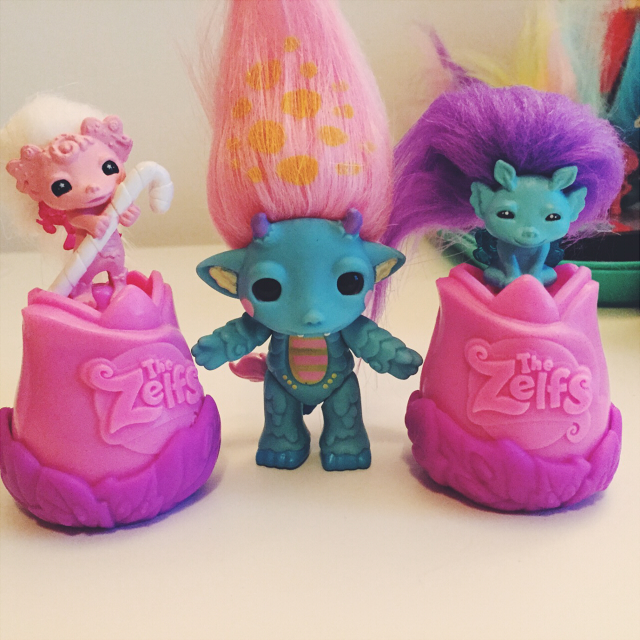 No matter how many times she says she thinks Eva and I are weird for our toy obsession she's definitely an enabler! We opened our blind bags and then watched Good Mythical Morning while we ate breakfast. I posted up the Arts 'n' Crafts post I'd worked on the day before. If you want to check it out you can find it here. After chilling for a bit I started getting ready as we had arranged with our aunt Karen to have another visit to IKEA. My aunt agreed to take Eva to pick Effy up before we went. When Eva brought Effy home I was kind of shocked at how bad her face looked. It was an oozing opening wound on her little face. The vet had said it was one of the worst abscesses she'd seen in a while. 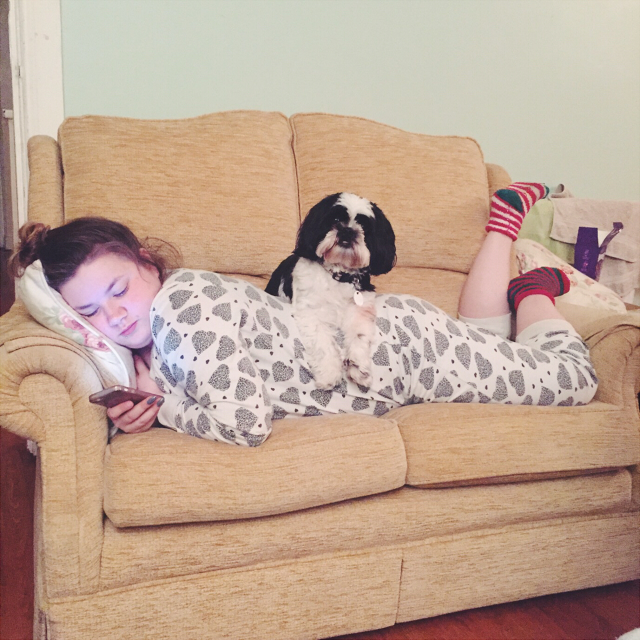 She also mentioned that Effy must have been up on her hind legs fighting. Standing her ground. 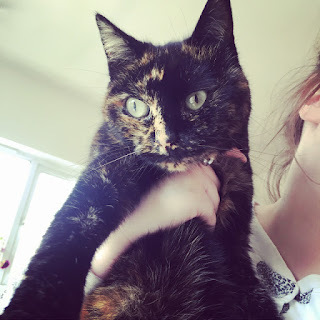 They usually see bites on the back end of cats from when they're running away and that usually these type of wounds are seen on torties, like Effy, because they're known for their feisty nature. Pretty interesting! We left Effy off at home and put her in Eva's room as they'd said to keep her in for two or three days. We picked up a litter tray for her before we set off for IKEA. 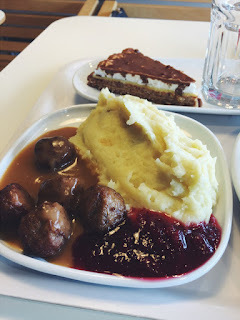 Once we got there we had the obligatory Swedish meatballs and that lovely dessert they always have. It was nice sitting and chatting while we ate. The store was pretty packed though, more than usual. There were a lot of children too. It always amuses me how people treat it like a day out. I mean, I suppose we do too but it's not somewhere I'd want to make a day of it with my kids. My hypothetical kids, Maude and Ephraim. 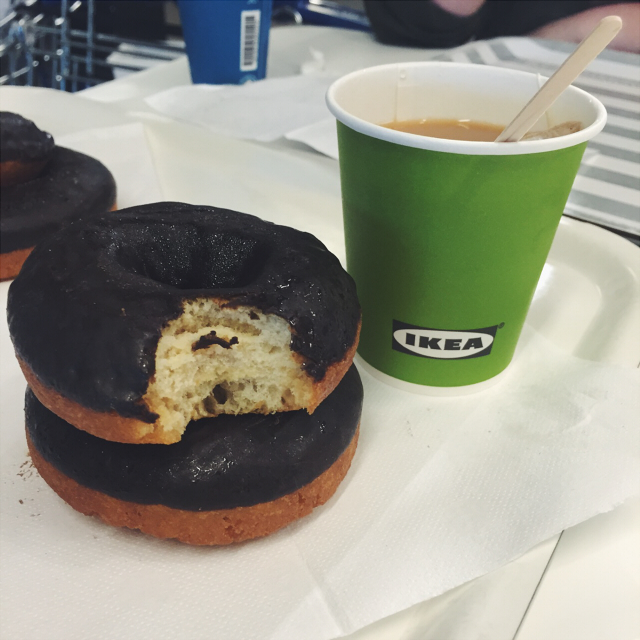 But I digress, we had a lovely lunch before setting off around the store to pick up some stuff. I had planned not to spend very much but not spending much isn't exactly something I'm good at. Though, it made me feel better that Eva was having as tough a time as I was at keeping things out of the trolley. And we did edit as we went. I was quite proud of the amount of stuff we did put back. By the time we made our way around the store we were a little peckish again, so we stopped off before we left for the obligatory donuts and tea. You kinda have to when they're as affordable as IKEA. Then we packed up all our shopping into the car and headed home. I'm not actually going to include what I bought as I'll post a haul post on Thursday or Friday. So look out for that! 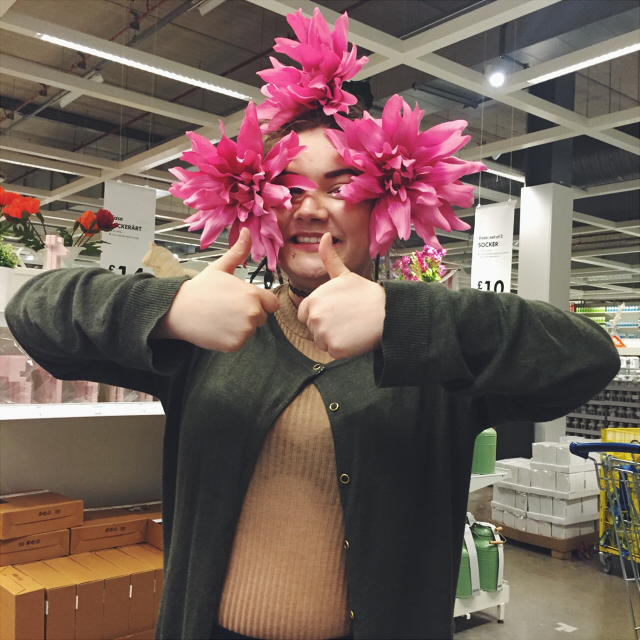 I mean, who doesn't love an IKEA haul post? Anyway, when we got home we were glad to find my mum hadn't accidentally let Effy out. 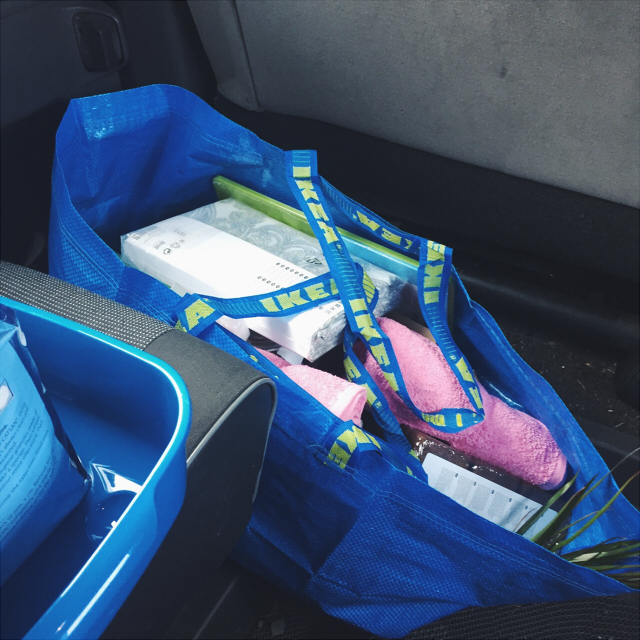 Edwin was really excited when he seen the IKEA bag and I felt awful that we'd missed the part with the plushies and I hadn't gotten anything. 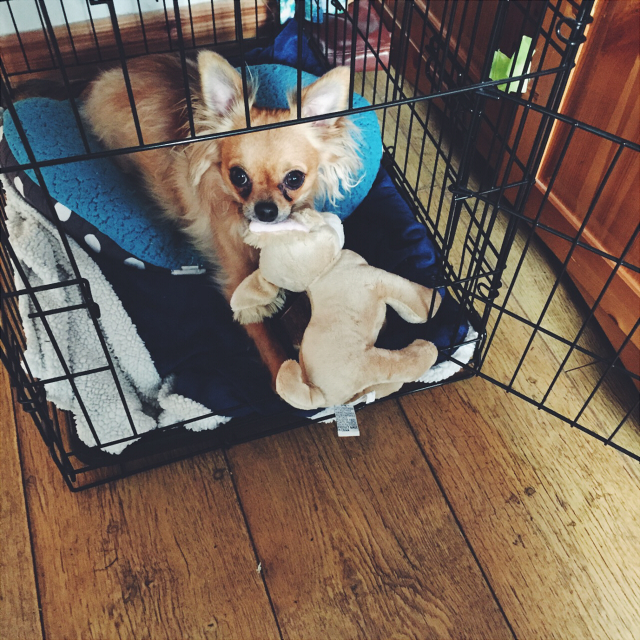 He knows when he sees an IKEA bag it usually means he's going to get a new soft toy. I felt so bad I ended up taking a teddy off my shelf and putting it in the IKEA bag so he wouldn't be disappointed. How could I let that little face down? Eva then set about building a couple of bits of furniture I bought that I was extremely excited about. I can't wait to write about them in my haul post. They're noting fancy but they'll make a big difference to me. In the evening I sorted my room a little and took some photos of what I'd bought. I sorted the pets and then I headed to bed as I had an early start in the morning. I got up around 8am on Saturday. I had to leave for Belfast around 9am as I had a cardiac appointment to have a 24 hour monitor fitted. It had been quite some time since I'd been up that early. When we entered the hospital there was a work man and he asked us did we know where we were going. My dad asked him where 2B was and he replied, "Ah. 2B or not 2B. That is the question..." before directing us where we needed to go. It gave my dad and I quite a chuckle. It didn't take long for me to be seen and have the monitor attached. I'd actually remembered to wear a bra to this appointment as I'd forgotten the last time and had a male technician. It was a women this time anyway. Still, I'm sure she appreciated not being flashed. I had the monitor hanging around my neck and three probes stuck to my chest. It was bulkier than I had imagined it would be. After the hospital we went to Bloomfield and did MORE shopping. Eva hasn't been feeling great lately so I wanted to get her a couple of presents. You can imagine what I bought her but I also bought her ice tea she'd been wanting on Thursday but we'd run out of time to get before we had to be picked up to take Effy to the vet. 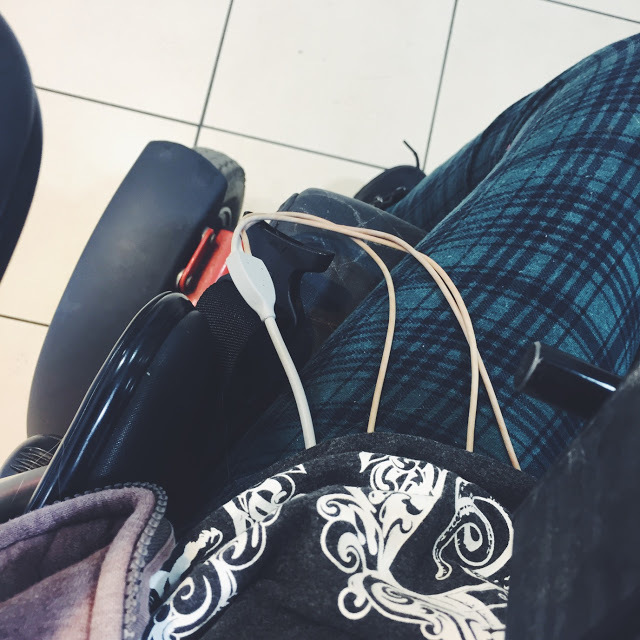 I felt like a cyborg with the monitor on my chest and the wires hanging below my t-shirt. After our shopping we stopped off at Auntie Anne's for some pretzel sticks and coffee. There's nothing like Auntie Anne's pretzels. It's making me hungry for them just talking about them. After eating and chatting for about half an hour we headed home. I couldn't believe it was only coming up to 1pm by that stage as I'm not usually out of bed until that time! I had a bit of lunch at home and then earlier than usual we headed to my granny's house as my dad had a bit of work to do at my aunt's house across the road. I've had the munchies lately and we were in time for my grandparent's Saturday fry up so I ate more, believe it or not! Once we'd ate we headed to my aunt Karen's house. I'd brought my laptop with me so I set up at her table to do a bit of blog work while my dad got to work around the house. A while later my aunt Karen came with my granny. My granda hasn't been too well so he opted to stay at home. We all chilled together and it was nice and relaxing. My granny was having a good day. We had an unexpected visitor when my uncle popped in after just getting home from Donegal. We got home a little late than usual and it wasn't long until Eva came in. I gave her her presents and we both opened what I'd bought. Don't worry, I'm not going to post MORE toy photos. After that I sorted the pets and chilled before heading to bed after what had been a long day.